As seen in Boston Magazine, the Esplanade Association recently launched the Frost Fit Winter Series Presented by Blue Cross Blue Shield of Massachusetts to encourage people to get outside and enjoy outdoor recreation in winter. 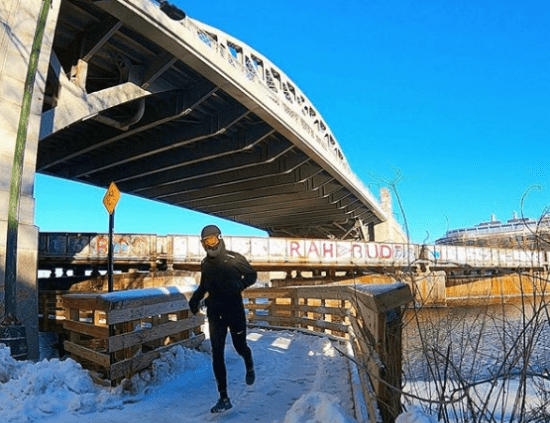 During the first part of this series, the November Project Boston will host workouts at the Hatch Shell every Saturday in February. 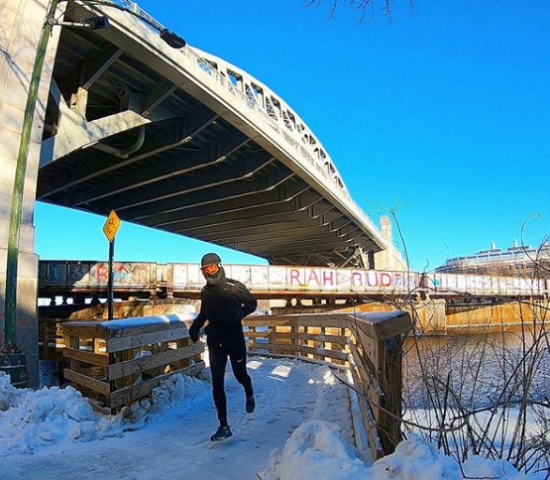 To help attendees prepare for outdoor exercise during New England winters, we recently spoke with Jonathan Levitt (@jwlevitt on Instagram — photo above), a local runner who spends most of his commutes running or biking along the Charles River, no matter the temperature, and works at InsideTracker a Kendall Square-based company that provides personalized guidance on nutrition from blood analysis. I always add 20 degrees to the actual temperature and dress for that. Once you get moving in the winter, you’ll warm up. The worst thing you can do is overdress, because then your sweat will freeze and that’s no fun. If you’re on a run, there’s less room to make a mistake with this, but if you’re taking a class in one space, you can always add an extra layer. I am a big fan of North Face and Nike’s cold weather gear, which can make a huge difference in bad weather. I run in trail shoes if there’s snow/ice on the ground, and try to run on the tire track marks if it’s been plowed recently. There will be more grip on that surface than in between the tracks, which will be much smoother and more slick. Tucking in your shirt to your tights/pants is a good way to start any winter runs, as it’ll hold in a bit more heat, and if you warm up, you can untuck without shedding any layers, and you’ll feel cooler! When it’s really cold, another tip would be to breathe warmer air, through a buff/facemask or something like that! We can’t wait to see you on the Esplanade this February and March!